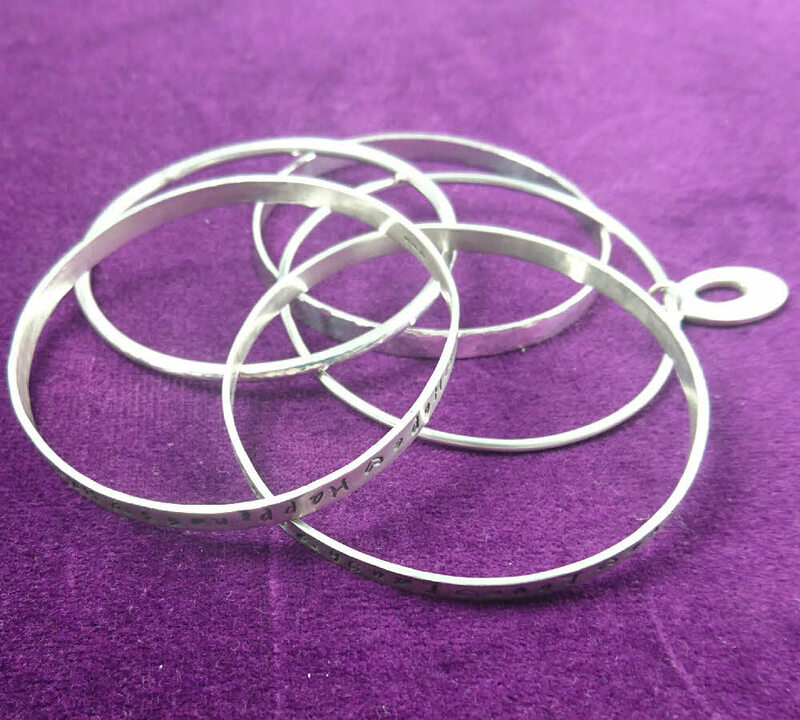 Beautiful Bangles: On this workshop you will learn to make two beautiful bangles using sterling silver. Using traditional silversmithing techniques you will learn basic techniques of soldering, filing and polishing along with using stakes and mandrels for shaping, hammers for texturing and sawing. Students will take home two silver bangles. Courses run 10am to 5pm. Course cost £160 including an information pack, use of all tools and equipment, all materials and lunch. To Book please call 01270 884080 Tuesday to Saturday 10:30 to 5.